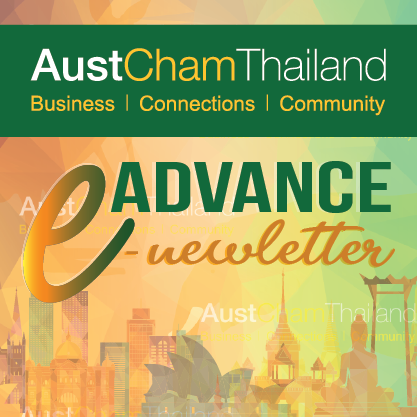 As chair of ASEAN throughout 2019, Thailand has highlighted the need to focus on one of the most important economic trends to watch out for – to equip ASEAN workforce in order to meet the challenges posed by the Fourth Industrial Revolution (4IR). 4IR is upon us, and the implications for workers are profound. While the opportunities for economic prosperity are enormous, there is no denying that businesses will be affected by the rapid pace of technological advancements, and organizations must prepare their most valuable asset, their people, for the future of work. The very concept of work is being redefined as different generations enter and exit the workforce amidst a rapidly changing technological landscape. Job displacement will be inevitable, and ASEAN leaders have been urged to intensify their efforts to accelerate workforce reskilling in order to transition to a future world of work. It is a well-known fact that the current skills gap, especially in high-tech industries, is enormous. According to PwC’s 22nd Annual Global CEO Survey, a lack of skills is keeping 79% of CEOs awake at night, and it is also one of their top 3 worries, and yet, they are not translating concern into action. The bad news is that the clock is ticking. CEOs need to put people as the priority or risk leaving scores of workers – and their company’s competitive strength – behind. It is crucial for business leaders to assess the opportunities, risks, skills, and wider societal implications generated by this transformation. However, anticipating and planning for a world which not even the experts know what it will look like yet, will bring fresh challenges for leaders and their teams. The impending changes lead to important questions for the business community, a sector that is preparing for the future of work while simultaneously acknowledging that its future workforce may not be prepared for 4IR – or even know that the revolution is upon us. With such disruption taking over almost every industry, what will become of the future of work? And more importantly, what skills will be the most important going forward? The World Economic Forum also predicts that by 2022, no less than 54% of all employees will require significant re- and upskilling. So, how can organizations upskill their workforce at this scale? How do we attract and develop the new talent we need? How do we scale and accelerate the pace of change? How do we make sure the people with us now don’t get left behind? How do we secure the right amount and type of investment in our people to prepare them? The skills shortage will only get more acute as technology evolves and the war for talent intensifies. Given this reality, it is crucial for organizations and HR leaders to develop a solid understanding of the skills they already have and the skills they will need in the future. For example, some companies are already doing skills and task inventories and asking — which of these tasks could be automated, and should some tasks be moved out of the roles we have now to make our workforce more productive? CEOs need to be much clearer about the idea that skills (not jobs) become a new sort of currency. Organizations can’t protect jobs which are made redundant by technology – but they can protect their people and they do have a responsibility to talk about the need for new skills. Once you have a skills inventory, people analytics can provide insights into where your employees’ skills are thin, and where they are the strongest. Performing a comprehensive skills inventory will also enable you to recruit better and prepare for 4IR, which will provide you with a baseline for understanding how to create learning programs and for what skill profile you need to develop or hire for. For instance, leading telecommunications company, AT&T, has already begun working on a strategy to upskill and reskill its workforce to keep up with evolving technology. Since 2013, the company has spent over $250 million on employee education and professional development programs. AT&T estimates 140,000 employees are actively engaged in acquiring skills for new roles, and in 2016, the company filled half of all technology management jobs with its retrained employees. Retraining efforts are beginning to pay off for the company, with the product-development lifecycle reduced by 40 percent and the development and rollout time down by half. According to extensive research conducted by Accenture under its “Harnessing Revolution – Creating the Future Workforce” report, one of the key actions needed by leaders to build an engaged workforce that allows its workers to flourish in an advanced digital world that drives real business value is to accelerate the re-skilling of its people. This strategy will help companies position themselves to win in this newest revolution. New leadership skills will be required to lead in an era of technological disruption, such as the ability to manage in horizontal – not hierarchical – ways, become more adaptive and have the ability to inspire creativity and new ways of thinking. To leverage the full potential of the teams they lead, leaders will also need to understand how people and teams operate effectively and the influence culture and systems have on their performance. Technical skills are important, but now leaders must also understand the psychology of peak performance and human development. The success of people driven organisations will be centred on networked, autonomous, high performing teams which are agile, creative and enterprising. Machine expansion will liberate human potential, and being human will be more valuable than ever before. Workforce readiness during 4IR will increase the need for “essential human skills”, commonly referred to as soft skills, such as personal attributes, social skills, and communication abilities that support interpersonal relationships and interactions with others, to allow for the successful integration and collaboration of internal and external workplace stakeholders, such as customers, co-workers, and management. Communication, critical thinking, creative thinking, collaboration, adaptability, initiative, leadership, social emotional learning, teamwork, self-confidence, empathy, growth mindset and cultural awareness will all be critical skills needed to navigate through 4IR. In addition, there will also be a growing need for courage, resilience, adaptability, and resourcefulness applied under a growing emphasis on global competence. With new generations of workers wanting greater flexibility and autonomy, having a desire for less structured roles and more work based on specific projects, there will also be a need to redesign work and create a more flexible workforce model to support the speed and agility brought about by digital innovation. Companies that build workplace opportunities supporting entrepreneurship, such as entrance into freelance, contract work or gig work are all examples of the types of shifts needed in 4IR. Businesses are likely to increase the use of contracted workers doing task-specialised work, create more flexible work arrangements, increasing use of remote staff, and accessing talent by shifting the location from which the organisation operates. Another important factor to discuss also is the fact that in order to alleviate the challenge of job losses, and in wanting to create a highly adaptive workforce, we must also shift our approach to learning, and create a mindset of “learning as a way of life”. There is no denying that education can really help to promote and build a culture of learning that recognizes and rewards the need for upskilling and lifelong learning through supported learning opportunities, coaches and mentors. > Flourish in uncertain times, strategically finding the right balance of humans and machines, in ways that complement each other to improve both performance and productivity? > Re-design roles and cultivate people’s multiple intelligences and maximize your organizations’ potential to adapt and grow in disruptive times? While there is no one-size-fits-all solution to prepare for 4IR, developing a skills inventory to assist you in re-skilling your people is a good place to start. Businesses need programs that will address both short-term and long-term skills requirements sustainably. By making investments in their human capital, organizations will reap the benefits of a productive, innovative and experienced workforce. Responsible leaders have the obligation of ensuring that their people don’t get left behind when it comes to entering this new job market, by redesigning work to allow people and technology to reach their full potential.